Dr. Douglas Halsted has more than thirty years experience in surgery of the Hand. Board-certified in orthopedic surgery with Subspecialty Certification in Surgery of the Hand (formerly CAQ Hand), Dr. Halsted is additionally fellowship-trained in trauma surgery. Saw him last year when he suggested surgery, which I couldn't do due to timing. I recently returned to him to hopefully set up a surgery, but was shocked when he now refused to do it because I have PTSD issues and my age. So I have to suffer pain! Very professional, very attentive to my medical situation. Great doctor! Excellent service and results of surgery. Dr. Halsted is all business but very capable and I felt very much at ease with him and his staff. I would recommend Dr. Halsted to anyone with great confidence that they will be happy with his services !! 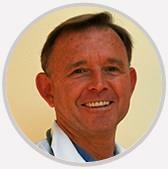 Dr. Douglas Halsted has more than thirty years experience in surgery of the Hand. Board-certified in orthopedic surgery with Subspecialty Certification in Surgery of the Hand (formerly CAQ Hand), Dr. Halsted is additionally fellowship-trained in trauma surgery. A graduate of Dartmouth College, Mayo Clinic, Maine Medical Center, and the Harvard Orthopaedic Program, Dr. Halsted completed fellowship training at the Kleinert Hand Institute in Kentucky and an AO International trauma surgery fellowship in Switzerland and Germany. Dr. Halsted’s particular interests include minimally invasive and endoscopic hand surgery. He is also interested in and proficient in ultrasound evaluation of upper extremity problems.